 Support - Battery Q&A | Amita Technologies Inc.
What is a rechargeable/secondary battery ? The definition of a battery in Chemistry is an electrolytic device that directly converts the electrochemical energy of active ingredients into electrical power through electrochemical redox (oxidation-reduction) reactions. A primary battery cannot be recharged and is discarded once it has produced all its electrical energy. On the other hand, a secondary battery is capable of repeated use. Its charge may be fully restored by passing an electric current through the cell in the opposite direction to that of discharge, thus reversing the redox reactions. 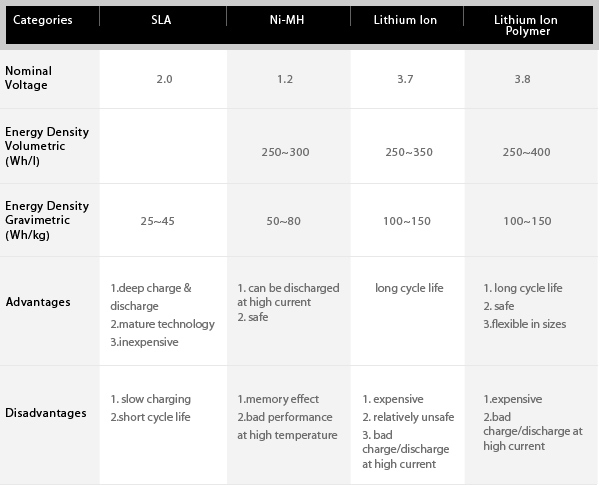 What are the characteristics of Lithium Polymer batteries ? One thing that worth mentioning is with the leading professional knowledge/know-how and continuous efforts of our team, Amita Tech has made available domestically high-performance Lithium Ion /Lithium Polymer batteries that are capable of competing with best brands. Now, you have a new high-quality, economical choice besides other best brands. 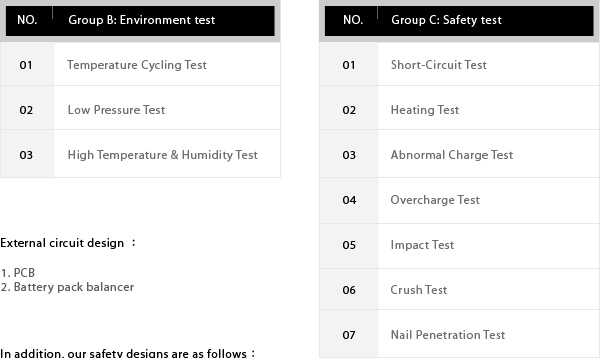 I would like to know what kind of safety tests you have performed on your Lithium Polymer batteries ? I am a studio professional and our company has a limited budget. I've heard that your company offers high-quality Lithium Ion battery packs for professional video cameras at a very competitive price. I'd like to know more details. 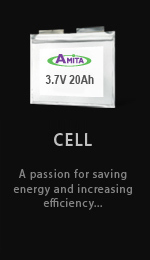 Using unique technology, Amita Tech has successfully developed numerous models of high-capacity Lithium Ion battery packs (and their matching chargers) for NP, Anton/Bauer Gold Mount and Sony BP V-Mount professional video cameras. 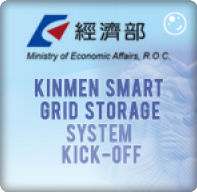 The characteristics of our battery packs are: light weight, high capacity and affordably priced. With our specially designed PCB and balancer (patent pending) and UL certification, you are assured both quality and safety. Please go to our web site www.amitatech.com for more details or call us at +886-3-366-4679 . Moreover, we provide a one-year warranty and NT$30,000,000 product liability insurance on the products you purchase from us. To make the best out of your limited budget, our high quality products are the best choice.